Eileen’s presence as a coach is defined by her strong relationship skills, direct style, and the trust that is built into her relationships. Her executive search practice has provided organizational knowledge of structure, effectiveness, reporting relationships, effective and poor leadership, and shown her what motivates people to stay or leave their organizations. Eileen has used the Emotional Intelligence Appraisal tool in her searches as well as in her coaching. The measures for self-awareness, self-management, social competence and relationship management provide a benchmark in assessing a client/candidate’s ability to develop and manage relationships in all areas of their lives. The knowledge that it can take a community to develop a leader – involvement of the sponsor (usually Human Resources), the Manager and the coaching client all working together. All play a role in the coaching engagement. 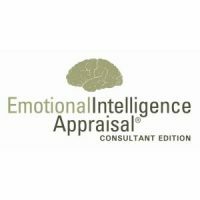 In our coaching practice, we often use the Emotional Intelligence Appraisal Tool to benchmark the level of self-awareness in our clients.